I know this is a BIG discussion among many moms these days. Years ago exercising during pregnancy was frowned upon. In fact, even a few decades ago if a mom decided to break out in a sweat during pregnancy, many would raise their concerns and voice their opinions on it. We now live in the 21st century and times have changed. Obviously. Women are superheroes and can do anything and everything (let’s not get into this!). BUT now you see pregnant women doing all sorts of levels of activity. There’s yoga, pilates, weight lifting, running, cardio, crossfit, cycling, you name it. Moms in all stages of life keep up. Because let’s face it, nine months can throw training off! I kept up weight lifting for my two pregnancies and felt great. Sweating releases tension for me, and I love my heart pumping and the stress release it gives me. Plus it strengthened my back and put me in a better mood. But I will say, there are cautions and rules you should stick to. For one, pregnancy is a beautiful season. It’s a short season. It can also be a rough season for some. I tend to have easy smooth pregnancies (thank you Jesus). Of course I listen to my body. If I feel nauseas, lightheaded, lethargic, or just plain “don’t wanna“, then I don’t. Hormones are different. Ligaments are different. Joints are different. The body changes. i think we all know this! But, I also don’t agree that pregnant moms should just sit all day long. Obviously that will backfire and cause other issues. Get up! Go for a walk, try a prenatal yoga class, low-intensity biking, or even weight lifting (though this one is more risky, so take it slow and safe and preferably with a prenatal coach if you’ve never done this sort of activity before). Pregnancy isn’t a time to keep up with the pre-pregnant you. It’s also not a time for competition, seeing how heavy you can lift or how many pull-ups you can do. Remember after all you are carrying a child, sustaining another life, and your health and body come first in mind so that you can do everything it takes to maintain a healthy pregnancy. Believe me, you won’t gain a crazy amount of weight or lose all your muscle if you take it easier and slower. Don’t quit, just cut it back. When I was pregnant with my daughter I took 2 minute rest periods instead of 30 seconds (pre-pregnancy). And within 4 weeks of her being born, I was moving around and hitting the gym again. I promise you won’t regret taking care of you, but you will regret over-exerting yourself and stressing your body and the baby. If you’re feeling sluggish and tired, take that as a sign. Give your body the adequate amount of rest it needs. Slow down, rest up, and try again tomorrow. Fresh air always does the body and mind well. I still recommend about 20-30 minutes of physical activity daily. Not only is it beneficial and healthy for you, it will support your lower back as your belly grows (believe me, it happens!). Don’t ever workout to the point where you’re out of breath, in pain, feeling faint, or nauseas. STOP! Please stop. Stop for you. Stop for the baby! Stop because you’ll regret pushing too much. And last but not least, love where you’re at. If you’re pregnant right now, love it. Be thankful. Appreciate what your body is doing and what your body is capable of. Pregnancy is a big deal and if anyone ever tells you otherwise, feel free to punch them and give them a piece of your mind. Love this stage of life and accept it. I promise, nine months go by pretty darn fast! 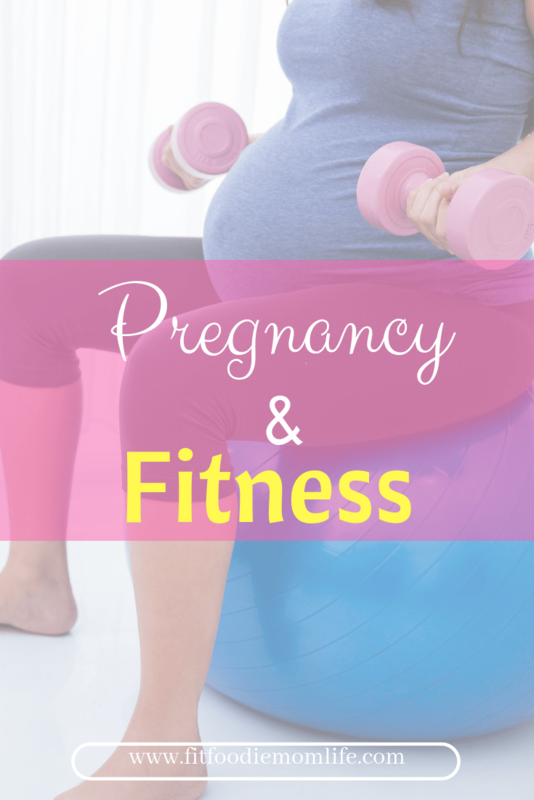 How do you stay fit during pregnancy? Target SAVINGS on Baby Essentials!